"Everything that terrifies others delights me, the fears and phantasms that others commonly carefully repress are to me so many fresh sources for my critical intelligence, but one would have to be far more foolish than I to try to analyze the complexity of my intentions and motivations. I who live them am far from understanding all about them! 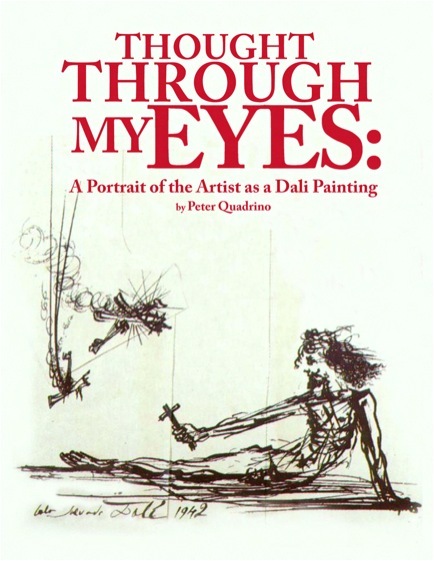 Fortunately, there are still my works which, subjected to the most objective examination, allow some of the truths I have been dredging up from the depths to come through." At the top of this post is the cover for the presentation/paper I delivered at the James Joyce Conference two weeks ago. The drawing is from Salvador Dali's book The Secret Life of Salvador Dali (which features prominently in my study) and it was put together by my girlfriend's dad, Luther, a highly talented graphic designer. The talk that I gave in Pasadena was just a very basic overview of the material in the paper. The full version is available in a 17-page booklet format with color images so if you'd like one of those just let me know and I can mail you one. 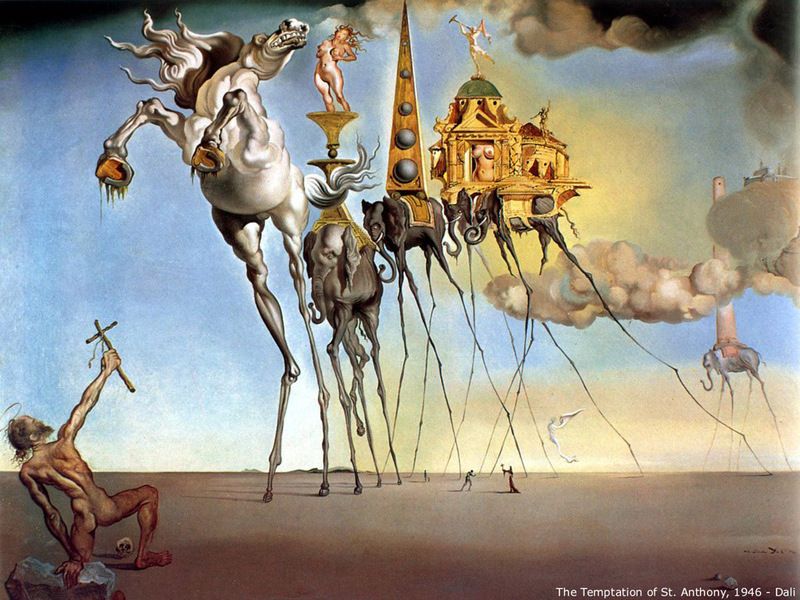 The essence of my paper is an analysis of Salvador Dali's The Temptation of St. Anthony showing that the material in the painting bears a striking resemblance to the symbols and structure of Joyce's first novel A Portrait of the Artist as a Young Man. 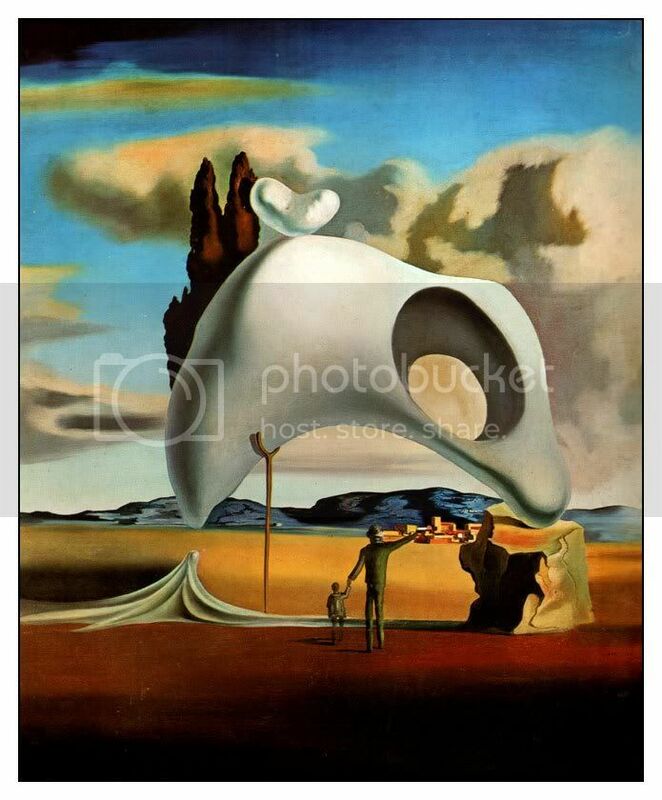 Then I go on to explore whether Dali ever explicitly acknowledged any Joyce influence (or vice versa) and what this interpretation of the painting means, concluding with a look at Jacques Lacan's role as "shoelace" tying together Joyce, Dali, and my new interpretation of the painting. What I'd like to do here is present some of the left-over material that didn't make it into the final version of the paper and also (in Part 2) discuss the meaning of the title which, unfortunately, I didn't really get to touch on at all in the paper. In the interest of graciously acknowledging all of my sources, I will also go through most of the books and scholarly stuff I used in my research (this will be Part 3) and point out some of the material one should seek to study if they have any further interest in this stuff. 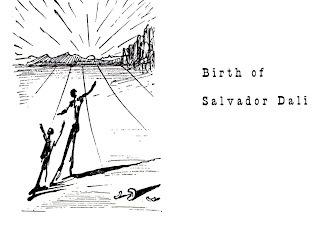 Image drawn at the top of a chapter in Dali's book The Secret Life. 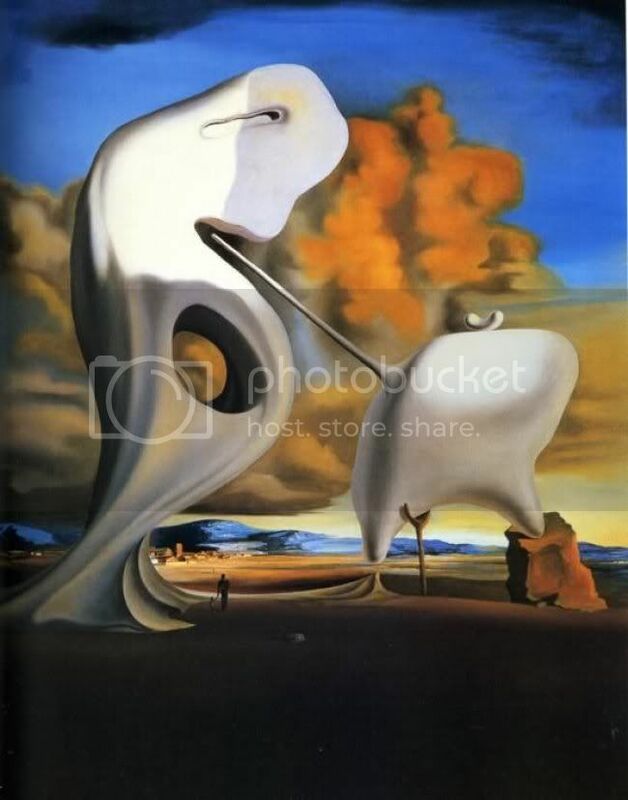 So, in analyzing the painting, the first thing I looked at is that tiny image in the very center amid the elephant legs showing what appears to be a parent with child and, as I tried to show, this is Dali himself as a young child, an image of his earliest memories and experiences. 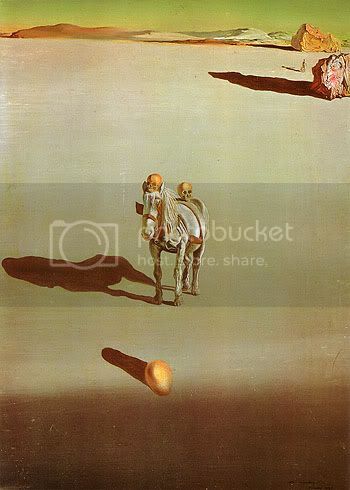 What I didn't get to mention is that this is a frequent motif in Dali's paintings from around this era (1930s-40s), as you can see from these examples. 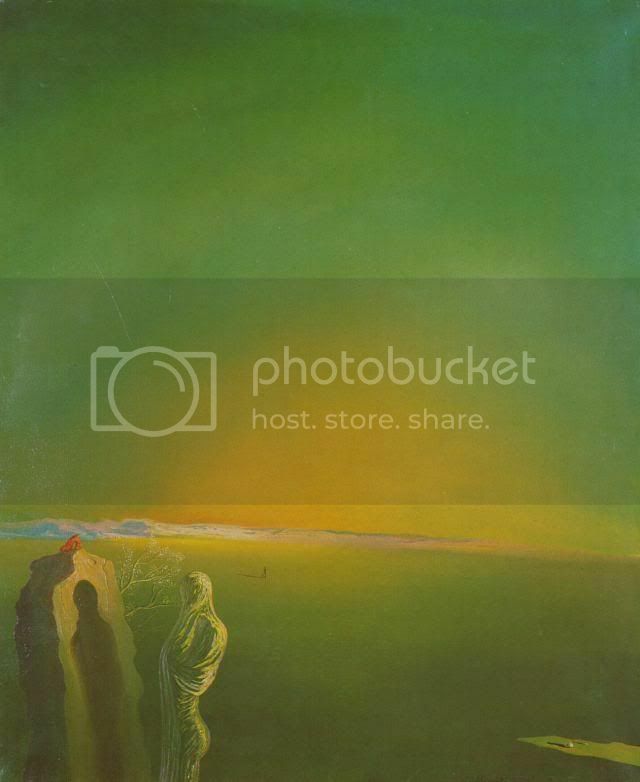 Here are a couple more instances of this motif appearing, this time in two of Dali's works that incorporate the elements from Jean-Francois Millet's Angelus which Dali became obsessed with. 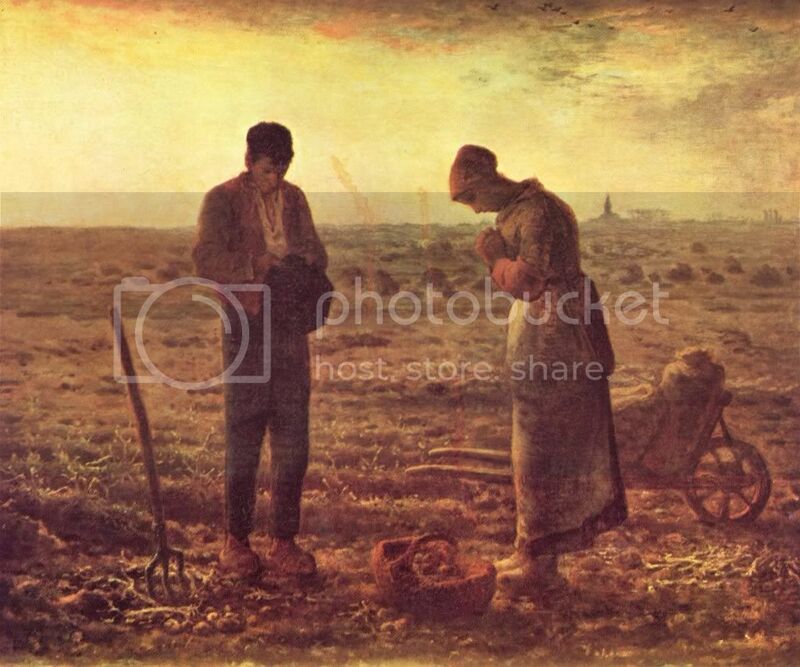 As a child going to school, there was an image of Millet's The Angelus hanging on the wall just outside the classroom door and young Salvador would stare at it until it was branded on his brain. As you can see, he was prone to incorporate this image or its likeness into his work. In the 1930s, when penning numerous articles and essays on his developing paranoiac-critical method (one of which I've published on this blog before) he composed a paranoiac study of The Angelus in which he asserted a whole new and different meaning behind the painting. One of his assertions was that the man and woman in the scene (to the right) are standing over the buried body of their child. In 1963, the laboratory at the Louvre actually x-rayed the original painting and saw that there was originally what looks like a casket at the mother's feet but it had been painted over by Millet. Unfortunately, there's no way to x-ray The Temptation of St. Anthony to see if my interpretation of it is accurate but I did confirm that the meanings I perceived within the painting were apprehended, witnessed, or "thought through my eyes" in a process exactly like Dali's paranoiac-critical method. 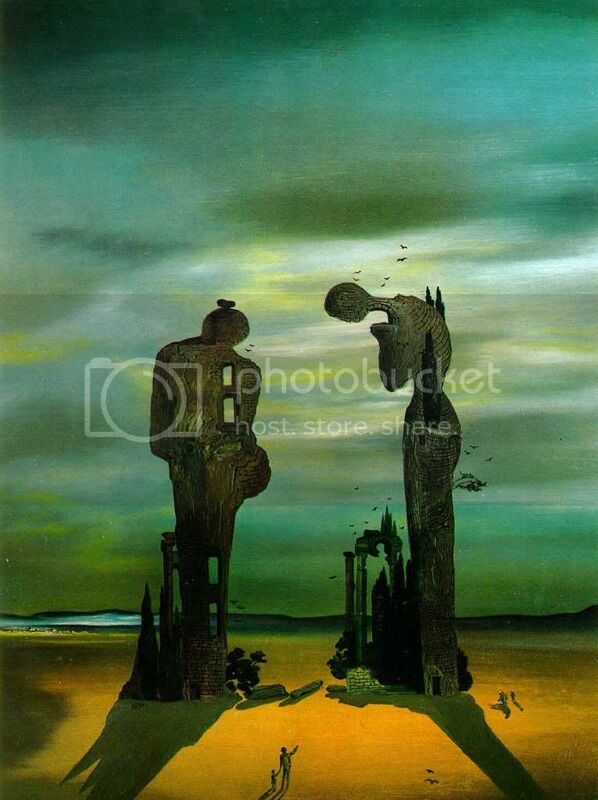 I did manage to magnify and zoom into some of the smaller elements in the painting and the autobiographic aspect of my interpretation is, as I've showed, justified by just taking a look at the images in Dali's wonderful and illustrated autobiography entitled The Secret Life of Salvador Dali.